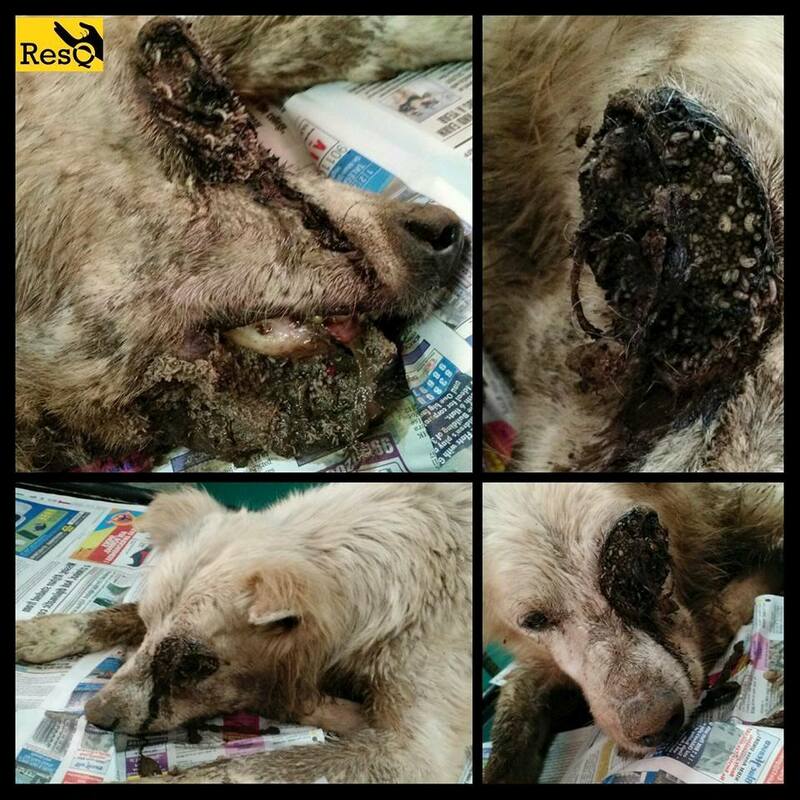 Snowy was found lifeless and eaten alive by maggots….his eye and jaw gruesomely infested. Sadly it was too late by the time he reached us and he couldn’t make it. The misery he must’ve gone through to reach this stage is unimaginable. Left untreated, maggot wounds are fatal due to the maggots tunnelling into their brain or vital organs (depending on the site of the wound), blood loss or secondary infections. Myiasis is the medical term used to describe a maggot infestation. They are fly larva that feed on necrotic and dying tissue on wounds. These wounds could be there on an animal’s body due to a fight they might have gotten into, itching, licking, accidental injuries etc. A wound as small as your finger tip is enough for a fly to lay eggs on. Maggot-infested wounds are not pretty under any circumstances, but they are an unfortunate reality our dogs have to face. A horrifyingly huge number of dogs and cats die because of neglected maggot wounds. This is all the more tragic because they are surprisingly simple to treat if caught on early and completely preventable. The next time you see a stray dog with a smelly wound or visible maggots, however small, call us on our helpline 9373888500. So we can ensure what happened to Snowy doesn’t happen to another dog.